Well, if a technology has shown up in Popular Science magazine, as well as the Science Museum of Minnesota's "Beyond the Button" blog, it must be good! 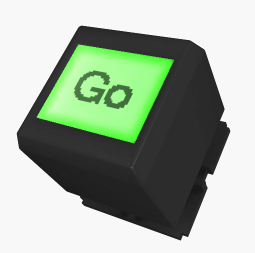 Ironically, given the title of SMM's blog, this new(ish) technology called ScreenKeys is a type of push button that embeds a programmable LCD screen into the surface of the button. Have you used ScreenKeys in an exhibit installation? Let us know how in the Comments Section below.